The rule of law, not of men! 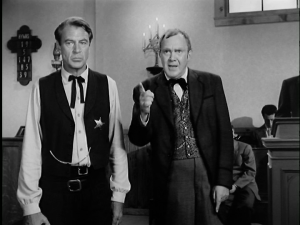 In “High Noon”, of 1952, Marshal Will Kane (Gary Cooper) is unexpectedly called to account for his sins. Kane learns that the Governor has freed a man whom he and the town judge had conspired to sentence to death. Furthermore, this man, Frank Miller (Ian McDonald), plans to return to town to seek justice. When Kane attempts to rally the town to his side, he finds that times have changed — the town is no longer willing to support his lawless thuggery, and demands that a new Marshal take charge of the dispute between Kane and Miller. (In a nice bit of storytelling, the root of the enmity between Kane and Miller is subtly brought out as Kane goes about town: Kane wanted Miller’s woman (Katy Jurado), and so Miller had to go.) The shocking violence of the denouement, in which Kane murders Miller in the street while the town does nothing, presages the revisionist Westerns of some 15 years later. These burros have a long road ahead of them. 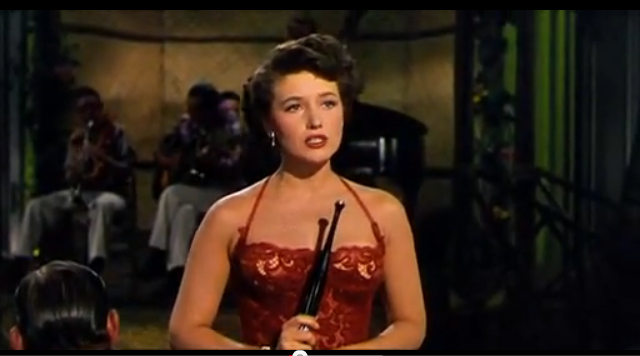 “The Treasure of the Sierra Madre” (dir. John Huston, 1948, from a novel by B. Traven) examines the lives of the burro rustlers of Northwestern Mexico in the 1920’s. 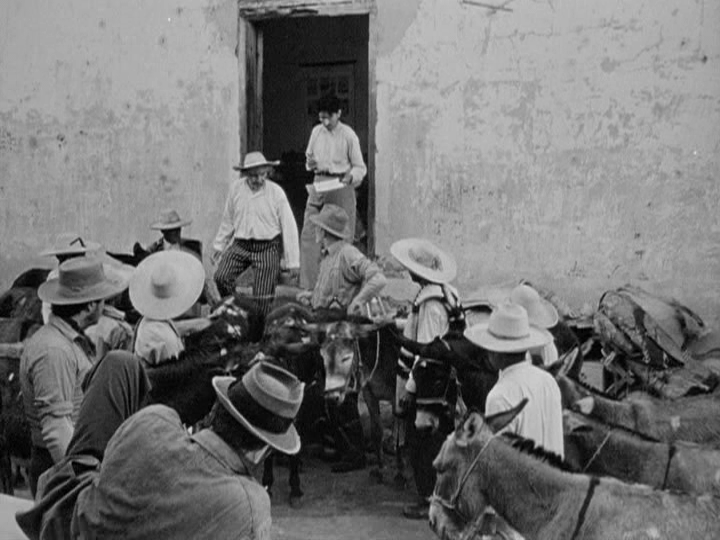 Chief among these is Gold Hat (Alfonso Bedoya), whose single-minded pursuit of burros leads him on a slow, sad decline. The film’s closing shots, in which a group of burros return to the city from which they set out, are justly famous as a representation of the futility of human striving the face of indifferent fate. Cameos by Humphrey Bogart and Walter Huston add interest to the proceedings. In the 80's, no one noticed another exploding car. 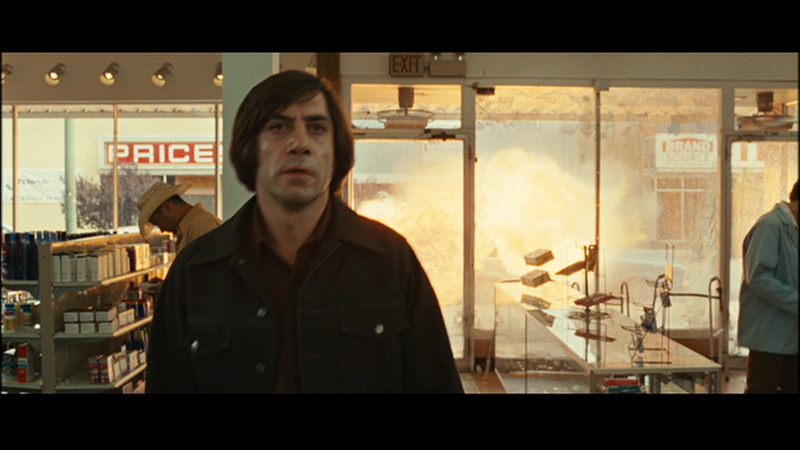 2007’s “No Country for Old Men” (directed and written for the screen by the Coen brothers, from Cormac McCarthy’s novel) is a languorous exploration of the vehicles of the early 1980’s, concealed within an ostensible fish-out-of-water comedy about mildly autistic Anton Chigurh (Javier Bardem). 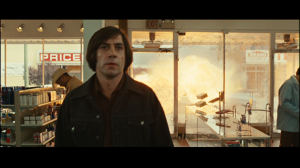 Foreground action consists largely of Bardem’s unsuccessful attempts to navigate everyday interactions without them devolving into cringe-makingly awkward conversations — or, later, comic violence when his frustrations boil over. The real stars of the piece, however, are the lovingly preserved and detailed classics that make up the mise-en-scene. Fans of the ’79 Ford Granada should not miss this movie! This man is not about to yield to the junior service. “Seven Days in May”, of 1964, (dir. John Frankenheimer, from Rod Serling’s screen adaptation of the novel) tells a story of inter-service rivalry in the middle years of the Cold War. Burt Lancaster plays USAF Gen. James Mattoon Scott, appointed to the Chairmanship of the Joint Chiefs of Staff by deeply unpopular President Jordan Lyman (Frederick March) in a calculated affront to the Navy Department. 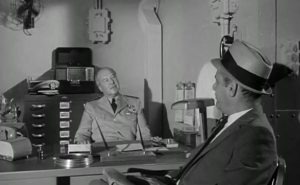 The Navy is able to maneuver Lancaster into attempting an ill-conceived coup by playing to his vanity, before undermining him (and, as a bonus, the other service chiefs) with a suspiciously well-timed confession delivered by VADM Barnswell (John Houseman). A misguided romantic subplot does not detract from this subtle tale of political intrigue. Been playing around with the <CANVAS> tag. Overall, it works pretty well. However, there was this little bit o’ joy: The transforms are all based on 32-bit floats. (See the WebKit code, e.g. translate, transform, &c.) Since 32-bit floats only give you 23 bits of mantissa, you have to be careful when working with very large domains. Converting all your coordinates to be relative to your viewport origin (in 64-bit JS) seems to work OK, although it is a bit hacky. It has been suggested that the intact program in the manuscript be replicated and made into an emulation of the game to run on modern hardware. I hope you enjoy the game. Thanks to Richard Adams for answering some of my questions, and to Scott Adams for writing the game and (hopefully) not suing me. Since this sucked up a disproportionate amount of my time, you can expect some followup posts milking this little exercise for all it’s worth. In 1949’s “The Fountainhead”, Gary Cooper plays Howard Roark, a brilliant engineer and terrible architect. 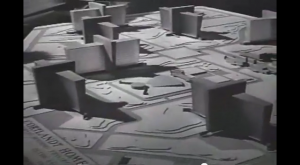 Roark offers a Faustian bargain to the city of New York; he will solve their most pressing civil engineering problems, but only on condition that they permit him to ruin their skyline. When the city fathers attempt to renege on the deal, Roark’s revenge extracts a terrible toll on both the city at large and those closest to him. From a screenplay by Ayn Rand, adapting her own novel. Possibly the first in a continuing series. The protagonist of "The Caine Mutiny"
1954’s “The Caine Mutiny” (directed by Edward Dmytryk) tells the story of aging nightclub “singer” May Wynn’s (May Wynn, nee Donna Lee Hickey) attempts to secure a marriage to a young, handsome, but somewhat dim scion of a prominent family. Her plans are consistently frustrated by the fecklessness and weakness of her chosen target, Ens. Willie Keith (Robert Francis). Trouble begins almost immediately, when Keith’s commander is able to maneuver him into turning down a beneficial promotion (arranged by his father) to the Admiral’s staff, and grows worse when he is unable to confront his family’s disapproval of Mae. Finally, he finds himself a pawn in a mutinous plot launched by one of his fellow officers, which threatens to destroy Mae’s last chance at escaping her disreputable past. I was just looking over some old records, and discovered something that, at the time, escaped my attention. Between early 2002 and mid-2007, my cable company (AT&T) raised my rates for the same service by about $35/mo, or nearly 50%. Naturally this was done bit by bit — a dollar this month, 5 dollars that month, &c. Discovering this filled me with rage, and made me regret not canceling the service years earlier than I did. That’s the last money you’ll get from me, you sneaky SOBs. Better the rule of law than the rule of men. But better the rule of men than the rule of lawyers.